You can contact us to obtain more information or to schedule a visit to our warehouse. If you want to visit, please call to arrange an appointment to view inventory on location. We don't have a retail store so when you visit our mill, we want to be sure someone is here to help you. 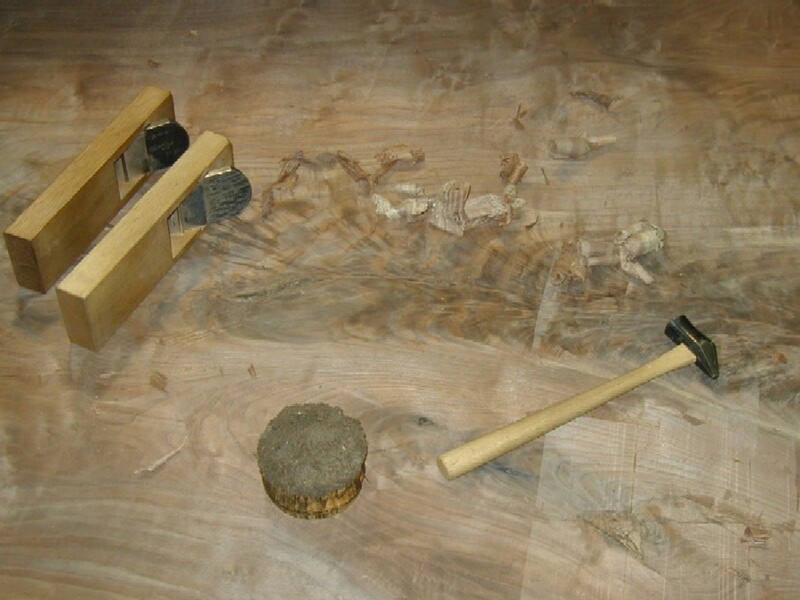 We prefer to use the bakerhardwoods@hotmail.com email address. When you contact us, please be sure to leave your name and phone number and what your specific project needs are. Please feel free to email or voicemail us anytime outside of office hours. You can visit us in Gilroy, California near Highway 101. We're about one and a half hours south of San Francisco and about 30 minutes south of San Jose. A bit of history: Milling has been in our family since the time of my great-grandfather. 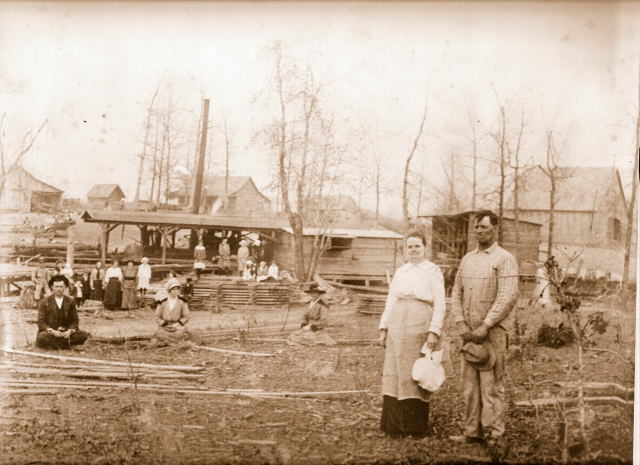 This picture shows my great-grandfather, great-grandmother, other family members, employees, and friends at his mill in Arkansas. This picture was taken in the early 1900s. And Today: After ten years of university studies in various countries and years in education I decided to return to my roots. I started milling part time. We continue to mill from trees removed from construction sites, fallen trees, or hazardous trees, dying or too close to structures. Trees are removed by professionals. Look for the new listings on our web site. © Copyright 2000 - 2013 Baker Hardwoods. All rights reserved.